July is here and it. is. HOT! In our July 2018 issue of Living Wise, we have some suggestions on how to stay cool. And as the headline suggests, we also have tips for cleaning up (after your pet), and a way for you to win a pair of Peoria Chiefs tickets! Use fans! 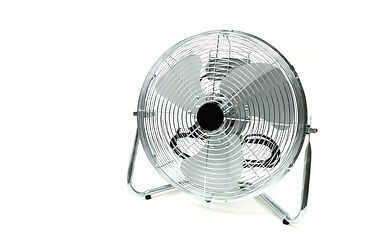 Using box fans will help circulate the cool air. Cover the windows! 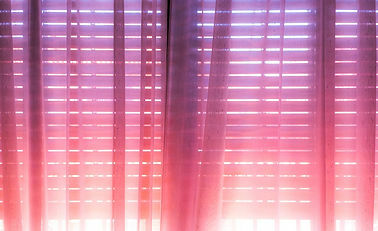 Keep your curtains or blinds closed to block out the sun, especially any windows that face the sun. Turn off un-needed items! 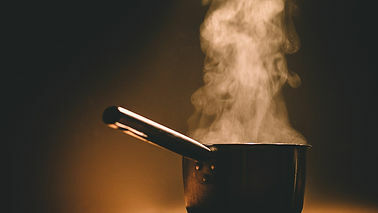 Unplug chargers (when not in use), and avoid using the stove or oven until the evening hours. 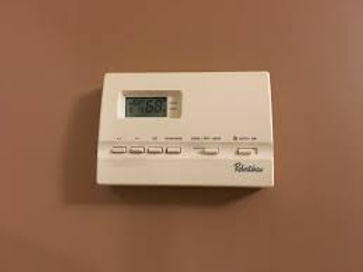 Set your thermostat higher! Set the temp a little higher during the day when you&apos;re not at home. The plants and pets won&apos;t mind. 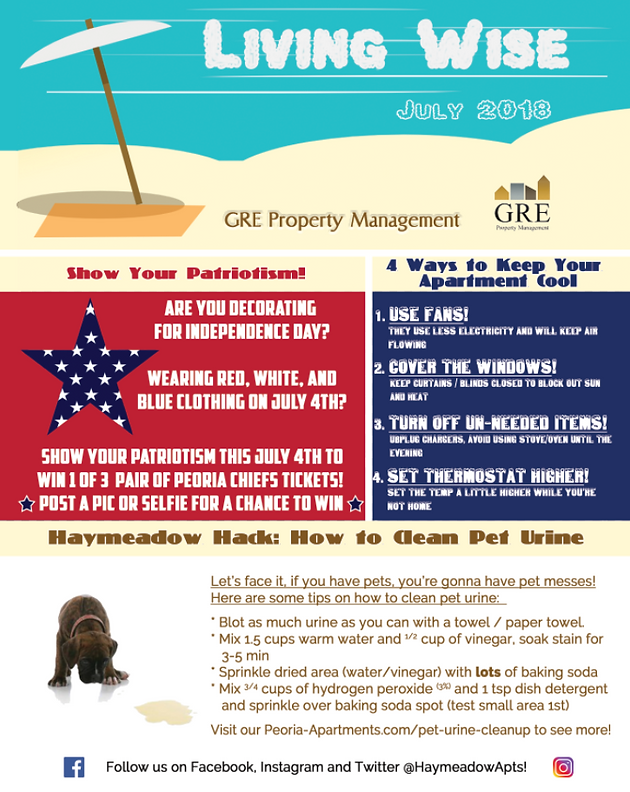 Head over to our Facebook page (@HaymeadowApts) and post a patriotic picture! We have 3 pair to giveaway to Haymeadow residents and all YOU have to do is post a pic! (or email one to Marketing@GRErentals.com). A selfie at the fireworks, an American flag, whatever just make it patriotic! Contest ends on July 10th. 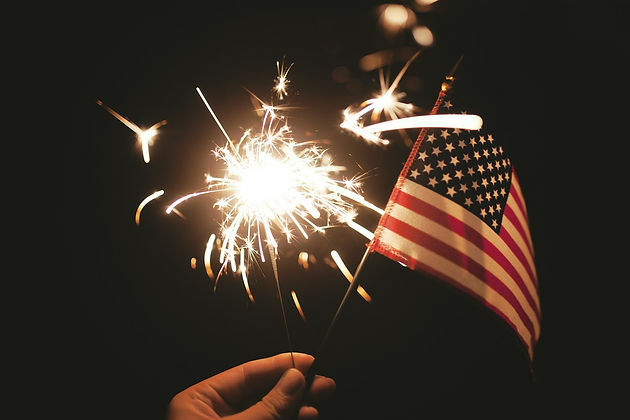 Good Luck, and Happy Independence Day! Is your pet afraid of Fireworks? (maybe they make mistakes on the carpet?) 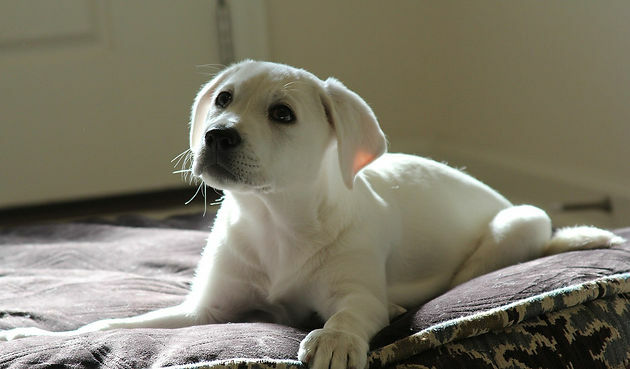 We have some tips on how to clean pet urine! Click the link to learn more! Have a great July everyone! And as always, we appreciate you visiting and sharing!